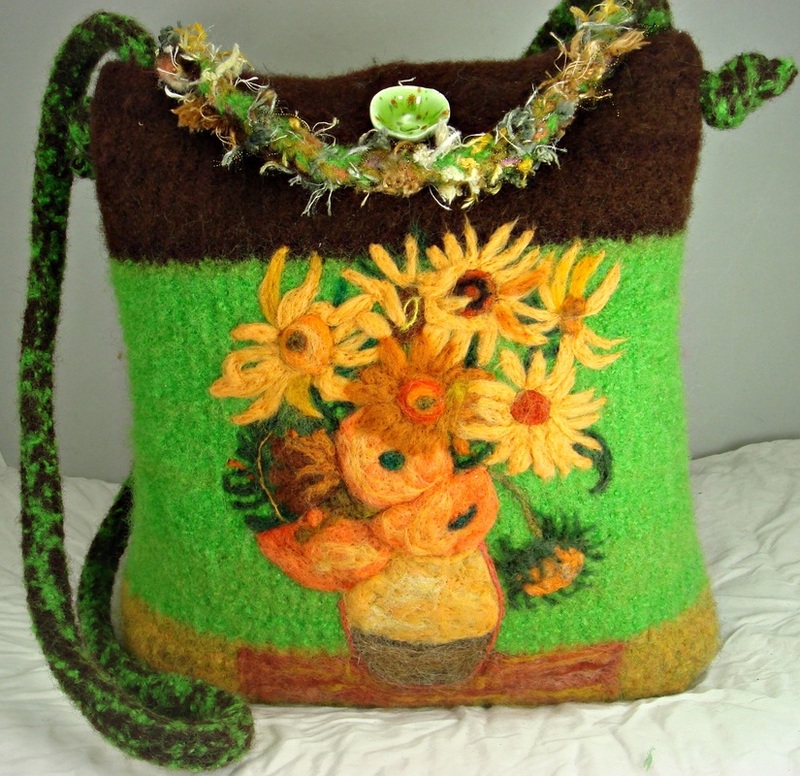 DESCRIPTION: Vibrant colors, beautiful Van Gogh painting, highlights this medium tote. 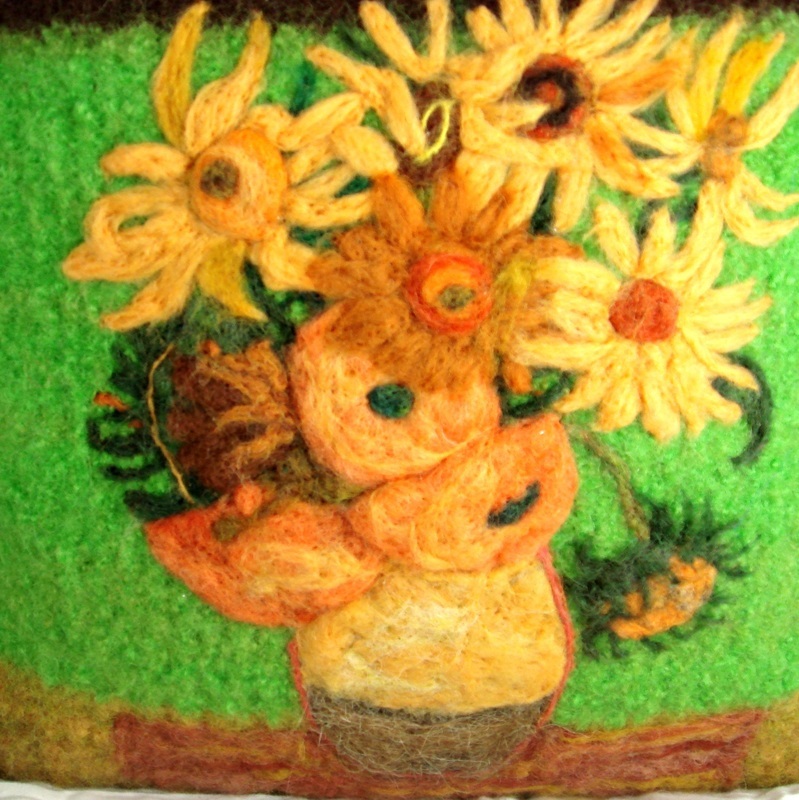 I'm really enjoying recreating famous paintings on my purses! This one closes with a ceramic button and has an inside pocket. The measurements are: 12" wide by 12" by 2" deep. 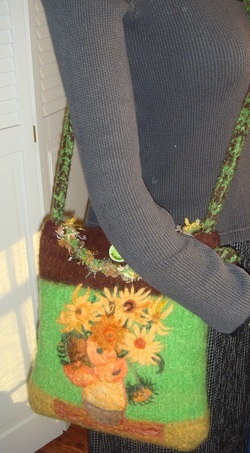 The ADJUSTABLE strap has a 23" drop but can easily be shortened!